Everyone knows that regular dental care is important to your overall health. However, many people are unaware that dentists also handle treatment for sleep apnea, a medical condition that causes people to stop breathing while they sleep. When you’re in need of sleep apnea treatment in Raleigh, NC, get in touch with Premier Dentistry Of Wake Forest. In addition to sleep apnea treatment, we specialize in comprehensive dental services including dental veneers, implants, clear braces, and root canals. Reach out today to schedule an appointment with our team and get the stunning smile you deserve. Dental health is of extreme importance for every patient, but especially children. As they grow and develop, children need regular checkups to make sure their teeth are growing in straight and healthy. By visiting our conveniently located dental office, you can get flexible appointments that won’t intrude on your child’s school hours. Whether your child needs regular cleaning, clear braces, or other services, count on our compassionate and skilled team. Visiting your dentist should be as routine as visiting your pharmacy or general physician. We make it easy to get the care you and your family needs to stay healthy year-round. Regular cleanings and checkups catch small problems before they become worse and keep your teeth in good shape for a lifetime. Our dental practice is fully outfitted with a skilled team and all the technologies required to ensure your teeth and gums are healthy. You can count on top-quality service at our clinic. We use the latest in dental technology to create a modern office that offers a personal touch for every service from dental veneers to clear braces. At our beautifully appointed dental practice, we also accept many insurance plans. 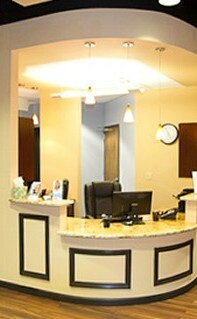 We strive to satisfy your dental needs while catering to your budget as well. A North Carolina native, Dr. Pressley was born and raised in Cary, and graduated from North Carolina State University before earning his doctorate in dental surgery from UNC Chapel Hill. Still an avid WolfPacker and Tar Heel, Dr. Pressley served as an adjunct professor at UNC Chapel Hill, and enjoys following the school's sports teams in his free time. Contact us to schedule an appointment with our team. We are proudly located in Raleigh, North Carolina.